In 20161 with 30 years dedicated to providing systems and solutions in the field of construction. Since our inception in 1986, we have characterized Euroshrink our dynamism and the possibility of adapting our products to the multiple needs of the construction market. Year after year we have evolved to adapt our offer to the market demand , so we have expanded the range of products in both materials (PVC, aluminum, stainless steel, wood, PVC + FN ...), and design, providing solutions for the works with a highly aesthetic value such as our Eurolistelos range of aluminum or stainless steel with glass and mosaics. 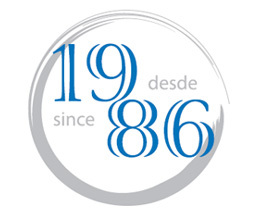 Our thanks to all those individuals and businesses who have supported us and have made it possible during these 25 years, a family business Euroshrink result of the efforts of its founder Juan Pedrosa, today is a reality of future global.